Do Video Games and Violent movies cause violence in real life? What should Christians do about it? Long before the Jacksonville shooting at a video game tournament, this question has usually resulted in many Christians opposing violent media and seeing it as unfit for society. Christian-originated websites will rate movies on its adult content, not usually to inform parents, but to discourage attending the movies or purchasing the content altogether. So where does this opposition come from? And can we find out if it is true, and most importantly, effective? The theological opposition to violent media finds part of its origins in, of all places, the Revolutionary War. [Reid] holds that each of the principles of morality is self-evident, at least to those who have a sound understanding, a satisfactory moral education, and are not in the grip of self-interest or passion. In a given situation, a particular moral principle takes precedence, and…it is usually clear to a candid mind which moral principles take precedence and what one should do. At a church history convention at United Theological Seminary in July 2018, Dr. Jennifer Woodruff-Tait, editor of Christian History Magazine, characterized this philosophy as “Garbage In, Garbage Out.” If you take in pure things, then your body will be in the good shape to make moral decisions. The philosophy claims that if you have good education and avoid passions, then your resulting morality will be pure. Dr. Woodruff-Tait noted this understanding was found over and over again in Methodist and United Brethren traditions. For example, the United Brethren periodical Telescope reported in 1835 that drunkards could not be saved. In short, what goes in physically, comes out morally. Incidentally, this is why United Brethren and Methodist traditions use grape juice instead of wine for Holy Communion: You don’t want to go the communion table and get something that clouds your spirit. You can see how this philosophy would lead to opposition to violence in media, particularly video games and movies. Like the old school admonition “Don’t smoke, drink, or chew, or go with girls that do,” keeping away from these temptations keeps you from being in the grip of passion, leading to sin. This prohibition can be applied to media. For example, one denomination’s 20th-century opposition to going to the movie theatres was that “your sympathy is excited over inanimate objects.” Your passion was misplaced, which the philosophy would say leads you to make immoral decisions. In the 21st century, it’s not a stretch to see how people who subscribe to this belief oppose violent video games and movies. But is it true? 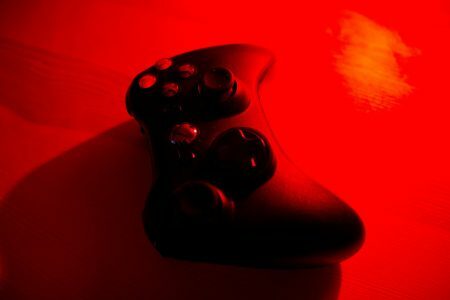 Does the intake of violence in video games and movies cause humans to be violent? Garbage in, garbage out? Anecdotes and experiments suggest violent movies can incite violent behavior. But how big an effect do they really have? Are we talking about one or two murders every decade or hundreds of murders every year? Anecdotes and experiments can’t answer this. To see if Big Data could, two economists, Gordon Dahl and Stefano DellaVigna, merged together three Big Datasets for the years 1995 to 2004: FBI hourly crime data, box-office numbers, and a measure of the violence in every movie from kids-in-mind.com. The information they were using was complete—every movie and every crime committed in every hour in cities throughout the United States. This would prove important. Key to their study was the fact that on some weekends, the most popular movie was a violent one—Hannibal or Dawn of the Dead, for example—while on other weekends, the most popular movie was nonviolent, such as Runaway Bride or Toy Story. On weekends with a popular violent movie, the economists found, crime dropped. You read that right. On weekends with a popular violent movie, when millions of Americans were exposed to images of men killing other men, crime dropped—significantly. What? Yeah, same reaction here. But the researchers have an interesting conclusion. Think, first, about who is likely to choose to attend a violent movie. It’s young men—particularly young, aggressive men. Think, next, about where crimes tend to be committed. Rarely in a movie theater. There have been exceptions, most notably a 2012 premeditated shooting in a Colorado theater. But, by and large, men go to theaters unarmed and sit, silently. Offer young, aggressive men the chance to see Hannibal, and they will go to the movies. Offer young, aggressive men Runaway Bride as their option, and they will take a pass and instead go out, perhaps to a bar, club, or a pool hall, where the incidence of violent crime is higher. Violent movies keep potentially violent people off the streets. Of course, Dahl and DellaVigna’s results were limited. They could not, for instance, test the months-out, lasting effects—to see how long the drop in crime might last. And it’s still possible that consistent exposure to violent movies ultimately leads to more violence. However, their study does put the immediate impact of violent movies, which has been the main theme in these experiments, into perspective. Perhaps a violent movie does influence some people and make them unusually angry and aggressive. However, do you know what undeniably influences people in a violent direction? Hanging out with other potentially violent men and drinking. In the short term, opposition to violent movies was actually causing more harm to society because non-violent movies didn’t entice young men away from the venues that encouraged drinking and violence. Encouraging young men to avoid violent media caused them to be more vulnerable to violence and to committing violent acts. Perhaps a better idea would be to focus on the places where violence actually takes place: the night life, long after most Christians have settled into their middle-class homes for the night. What would a Christian witness look like? Check with your local context to see what is working, but I know that opposition to violent media isn’t working. Some Christians oppose abortion, but outlawing abortion doesn’t drop its rate of use. Instead, offering birth control and resources lowers the abortion rate. Some Christians promote abstinence, but abstinence-only programs don’t reduce the teen pregnancy rate: birth control does. And finally, some Christians may oppose same-gender marriage, but doing so can lead LGBTQ persons into unhealthy relationships without the benefits of marriage. In short, Christians often are most comfortable as gatekeepers, keeping bad things from society and from individuals. But as the data shows, in many disputed areas, teaching how to live amidst things Christians oppose has a greater effect than outlawing it altogether. Will we continue to choose the path of condemnation or will we choose the path of slow transformation? The choice is yours. As an experienced gamer and a United Methodist clergy person, I can attest that violent video games may have SAVED a violent confrontations because I released a lot of potential anger at a screen and did not direct them at a living person. All of this. All of this! I’ll conplexify things a bit (because that’s what I do!). I can’t help but wonder if the “violent movies occupy violent people in non-violent viewing” holds in the age of asynchronous streaming on-demand media at home [insert a discussion domestic violence as the foremost expression of violent behavior here] in the same way violent crime rates going down on weekends where theater viewings of violent movies went up? The “how and where” of media consumption seems more complex than the hypothesis allows for. I’m also a fairly involved gamer and I tend o play games with a social aspect, as a ton of games now feature. Even for those that don’t, discord, twitch, and e-sports have become a cottage industry of gaming collectives. I’m fortunate to play with a bunch of people’s who are more or less a progressive minded group of gamers. But I am aware Of he way we reinforce one another and create a “bubble” at times. If it’s happening in a progressive key, it’s probably happening in other keys as well. The Venn diagram overlap between gamers and all sorts of extremist groups is not insignificant (although not as complete as some would like to think). Gamergate is an example of insular gaming communities reinforcing misogynist “incel” type thought. I was just reading an article this week by a Classicist who was examining the appropriation of SPQR by white supremacist groups and there’s a gaming tie threre as it seems the SPQR, in its historical use, wasn’t strongly tied to Roman militarism. But, as it proliferated as an image of Roman armies in various war based games, white supremacists, with a fixation in Italian Fascist symbology, began to appropriate it for their use. So the possible “cathartic benefit” or even “distraction benefit” such gaming offers may end up being vastly out weighed by the recruiting and socialization venues created where extremists enter and begin to target young white men in particular. Jeremy, can you provide a reference for your statement that the “United Brethren periodical Telescope reported in 1835 that drunkards could not be saved”? I have not been able to find this online. Hi Paul. It was made by Dr. Woodruff-Tait at the aforementioned conference. You’ll need to contact her directly for the reference.